I&apos;ve passed by the Printer&apos;s Row corner of Polk St., and Plymouth Ct., countless times on foot and by car. But it wasn&apos;t until a recent stroll that I saw–and I mean really saw–the magnificent 19th century jewel on the intersection&apos;s northeast side. 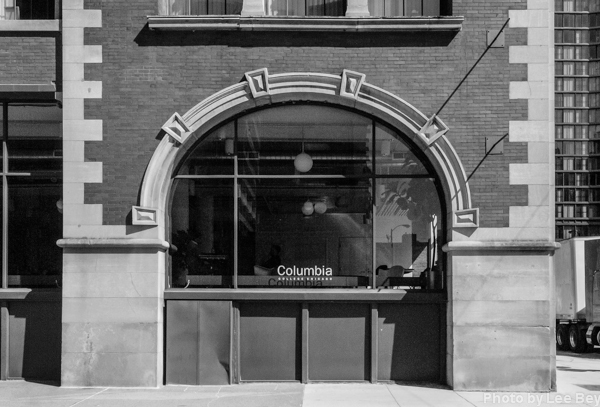 The brick and limestone edifice at 731 S. Plymouth Ct celebrates its 20th year as the Columbia College Residence Center, one of an abundance of South Loop buildings bought and repurposed by the arts college in recent decades. 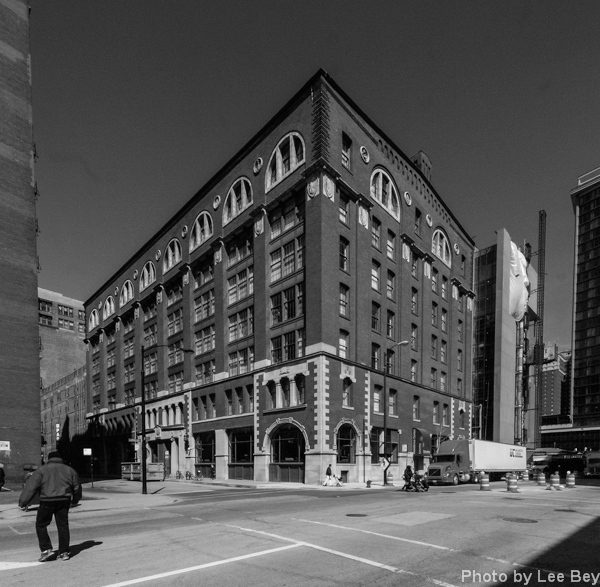 The structure was built in 1899 as the Lakeside Press Building, part of the R.R. Donnelly publishing empire. It&apos;s an industrial building. Let that sink in for a bit. Far removed, designwise, from the cement block and corrugated metal roof ciphers that often house industry these days, this printing press building has piers, symmetry, arches, detailing, presence—it&apos;s all there. No wonder, given the building was designed by Howard Van Doren Shaw, a premiere architect of his day. His work includes the under appreciated Mentor Building, a Prairie School skyscraper at 39 S. State St., prestigious homes in Lake Forest, and the larger and better-known Lakeside Press Building, 350 E.Cermak. The Lakeside Press Building on Plymouth Ct., was Shaw&apos;s first big commission. He was 30 when the building was completed. 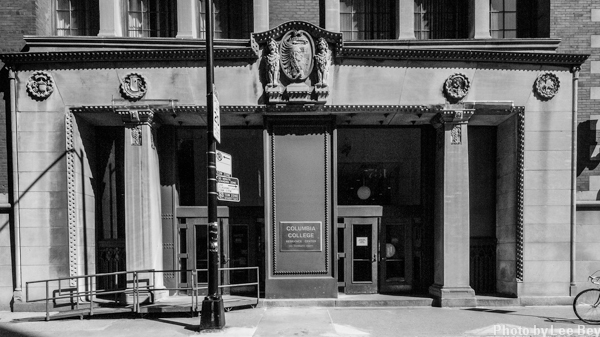 The building was placed on the National Register of Historic Places in 1976.